Are you interested in a tooth restoration procedure but are unsure of your options? 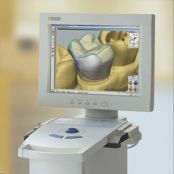 At The Dental Center we offer several restorative dentistry procedures for our Bloomfield and Montclair patients including CEREC- one-visit dentistry! In as little as one day, we can enhance and improve your oral health and smile.